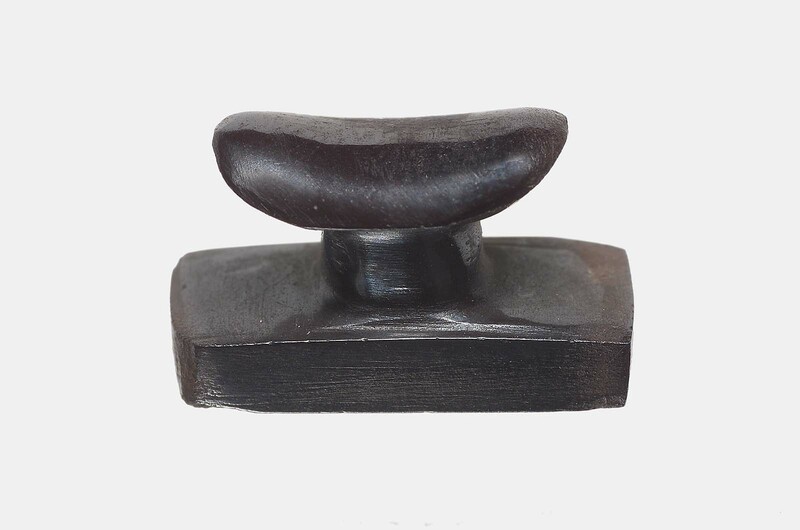 This amulet of polished hematite represents a headrest. Such amulets were common in Late Period burials, where their magic was intended to lift the head of the deceased at the moment of resurrection. From Giza: G 7524 A [Excav. date] April 24, 1929. Excavated by the Harvard University–Museum of Fine Arts Expedition; assigned to the MFA by the government of Egypt.